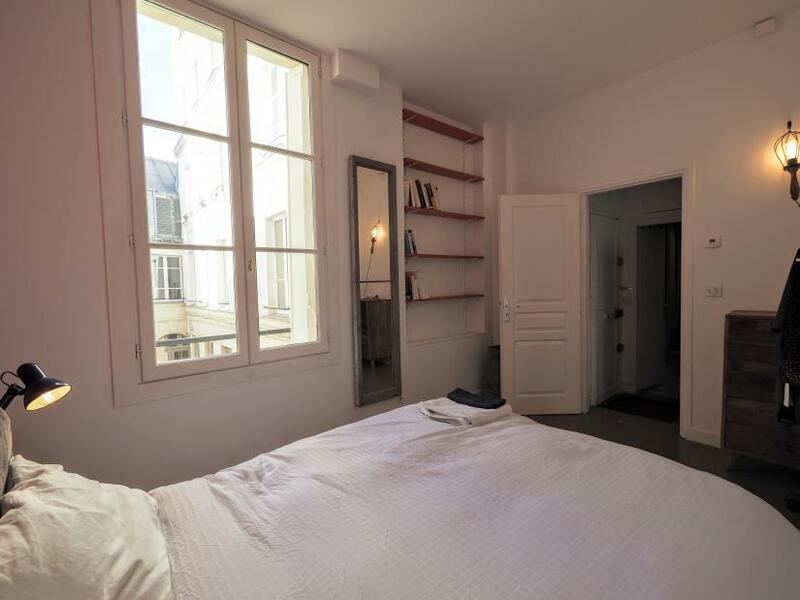 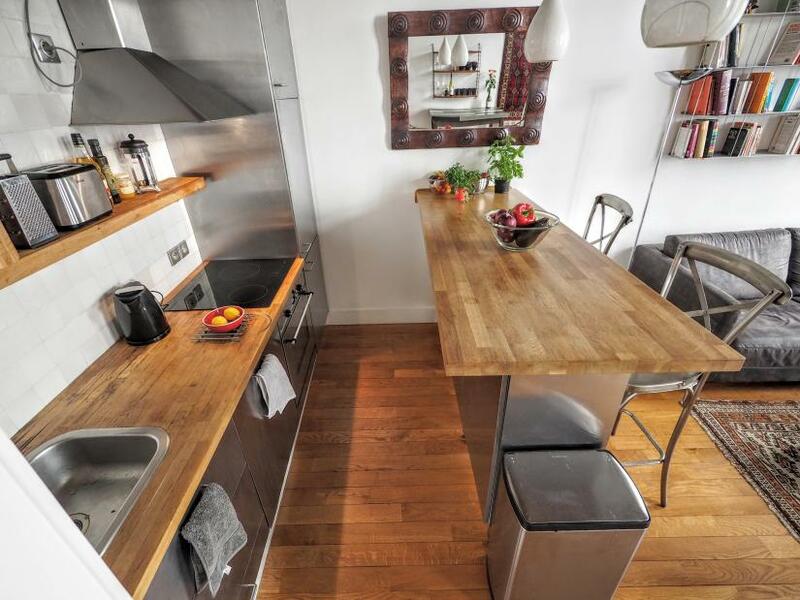 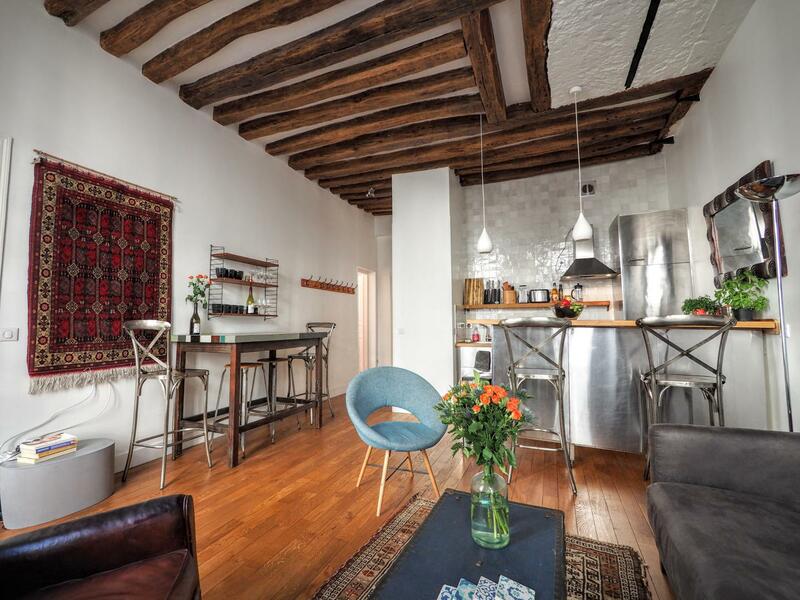 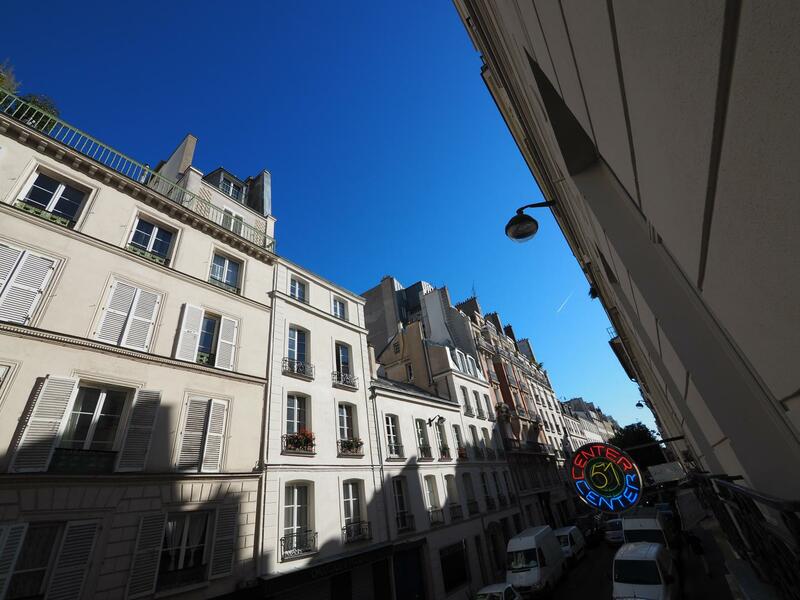 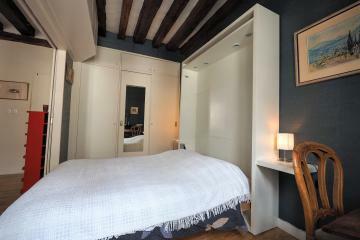 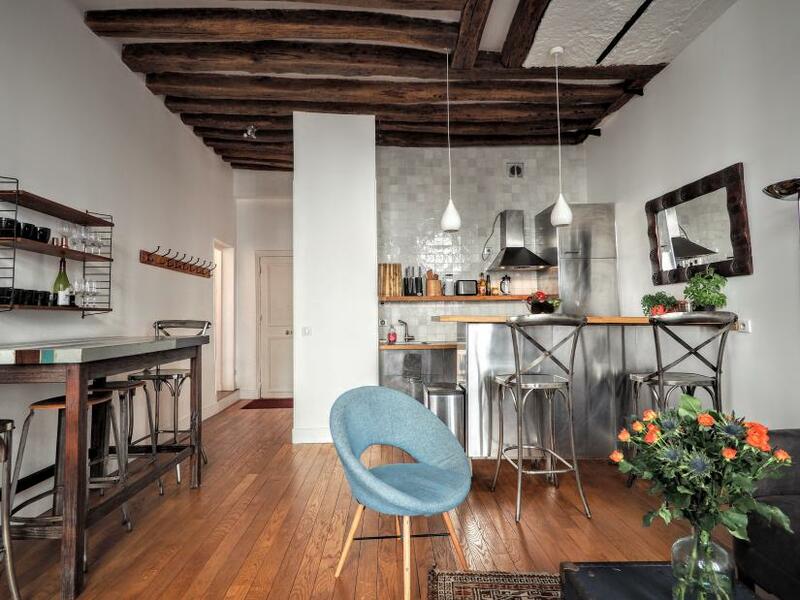 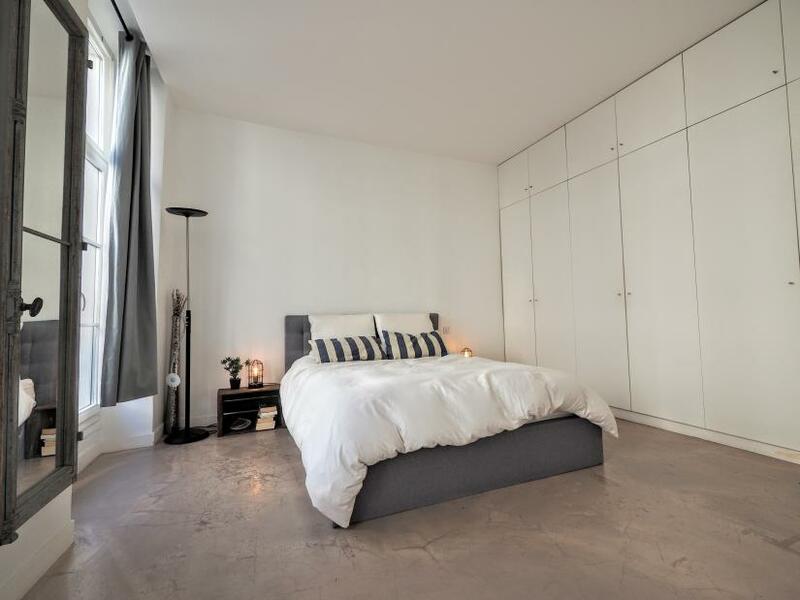 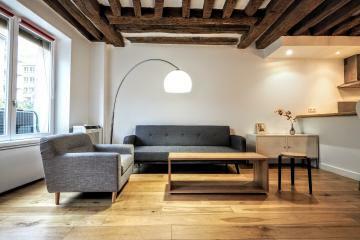 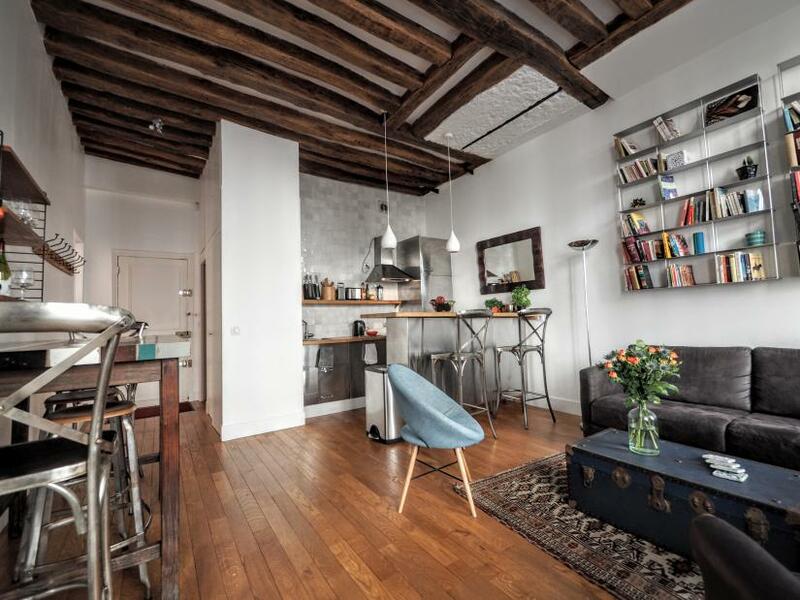 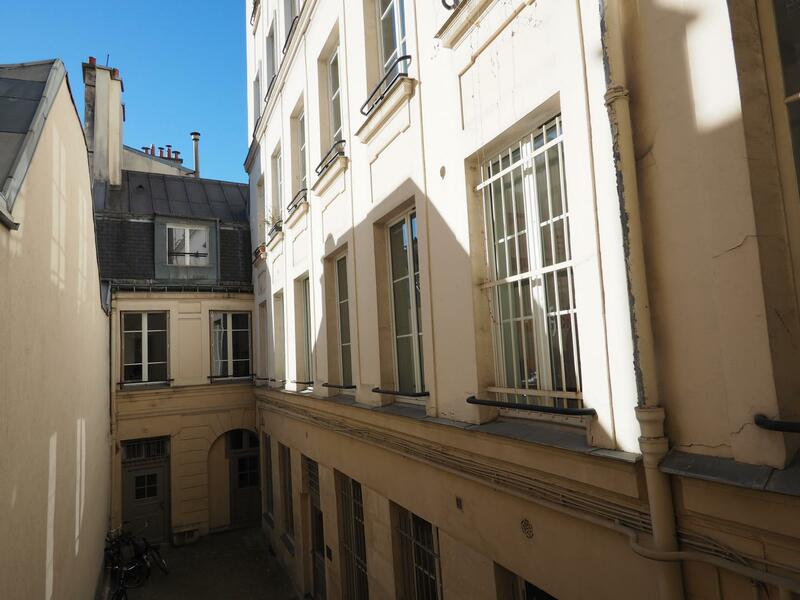 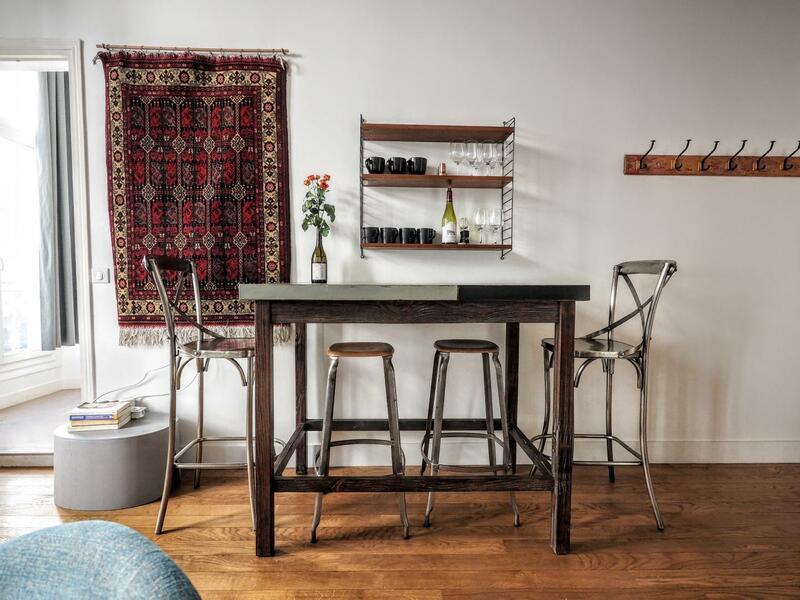 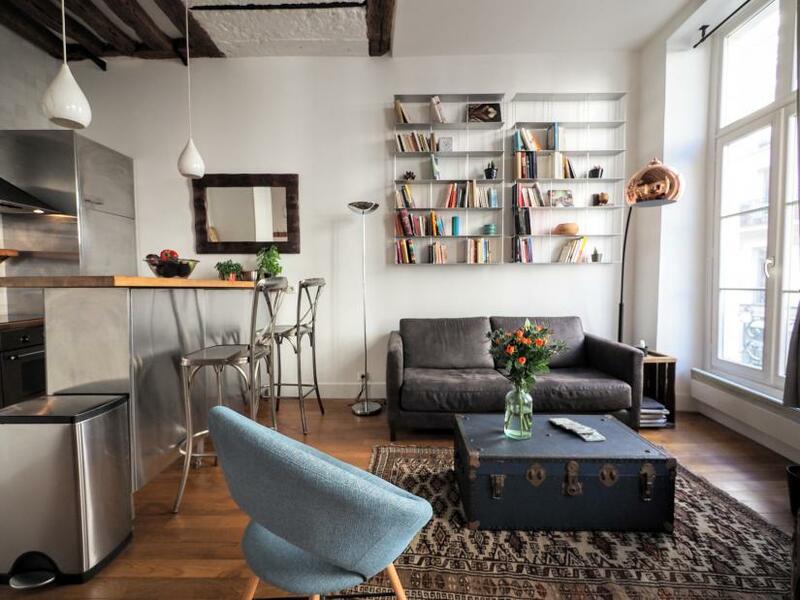 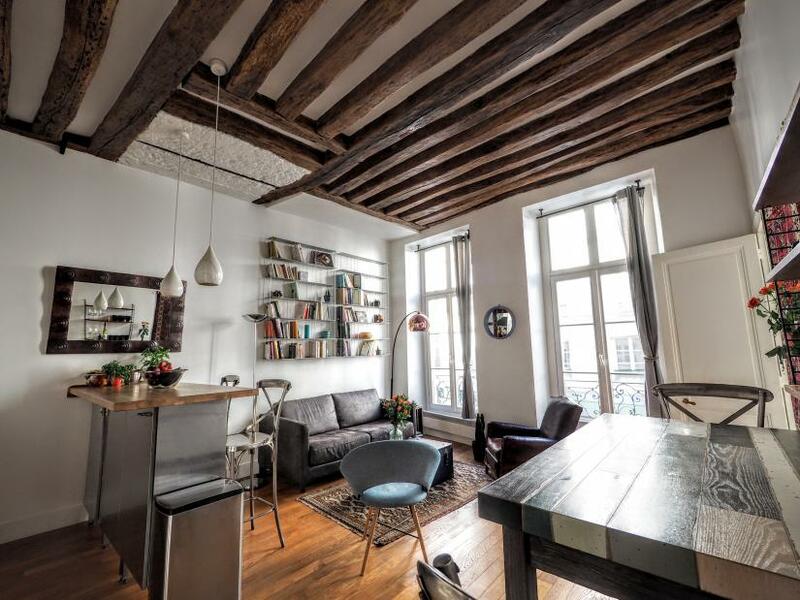 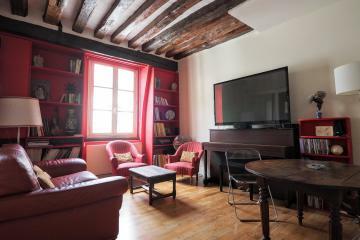 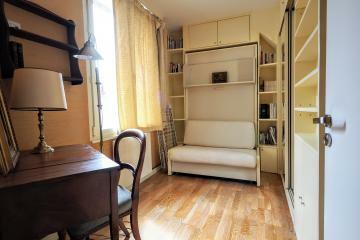 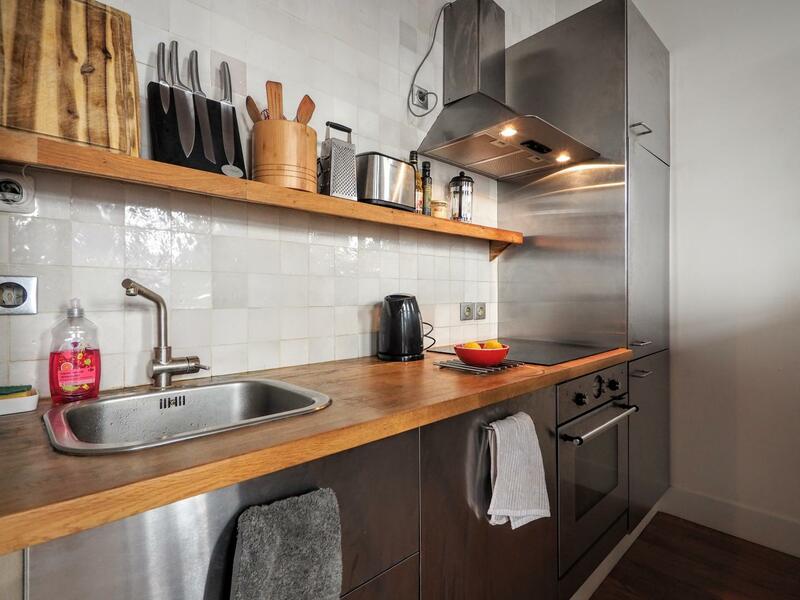 Paris 2 bedroom apartment rental located in the lovely upper Marais district, in a quiet renovated street. 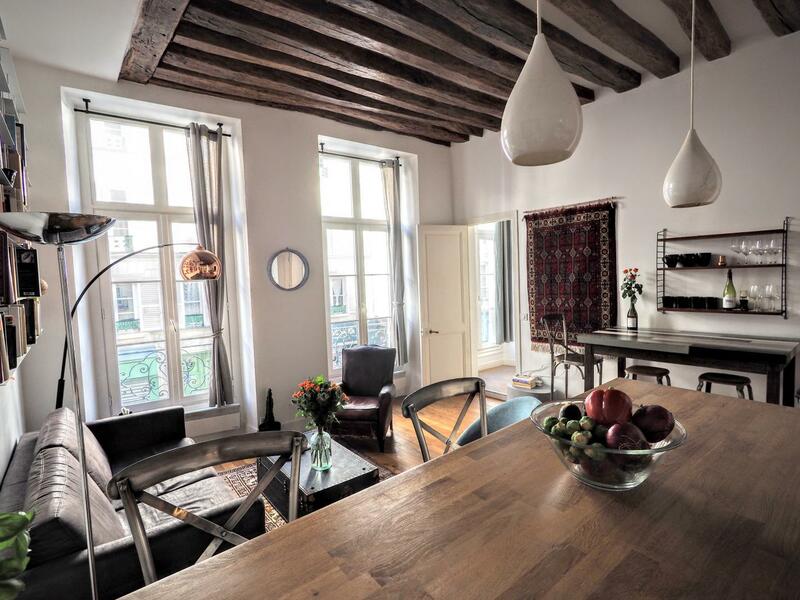 The apartment is situated on the 1st floor with no lift of a historic building. 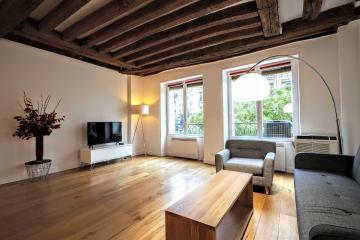 Enjoy big volumes and beams, larges windows offering space and brightness! 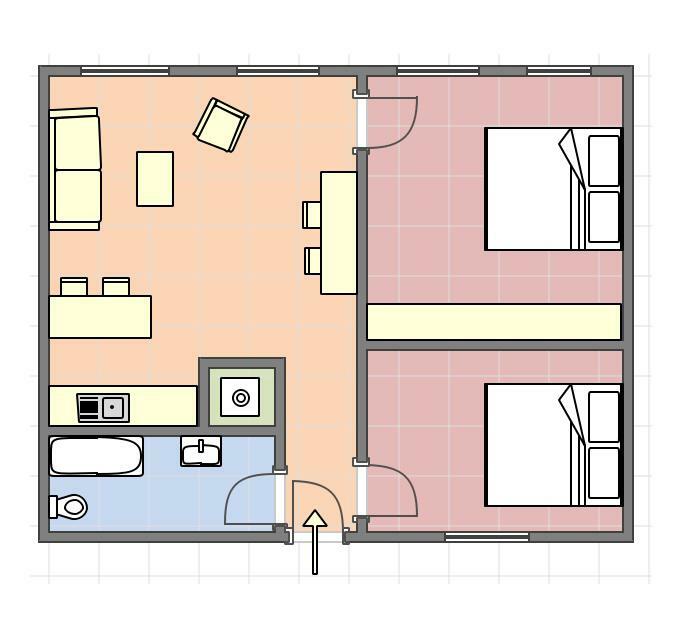 There is a spacious living room with a fully equipped kitchen corner (Dishwasher, oven, microwave, toaster, kettle), a master bedroom (queen bed) with a wall of cupboards, a second bedroom on the quiet courtyard. 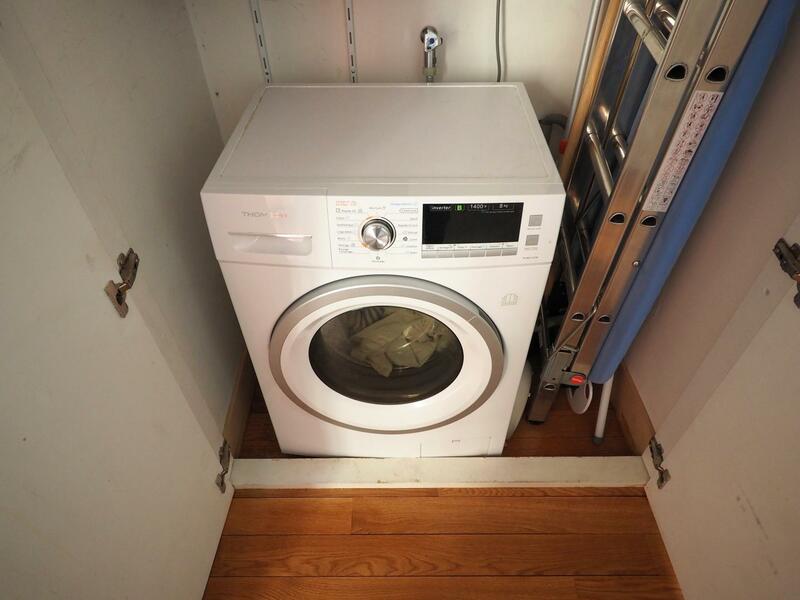 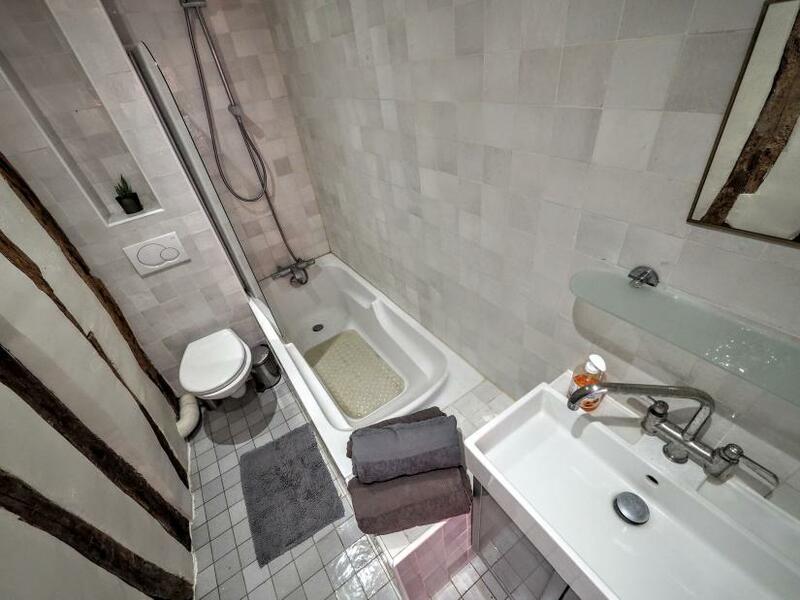 Bathroom with bathtub and toilet, closet with a washing machine/dryer. 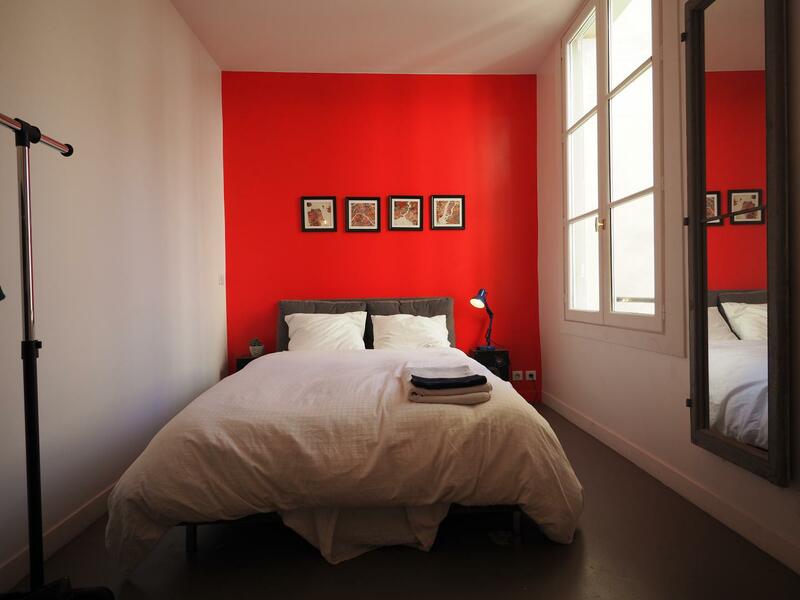 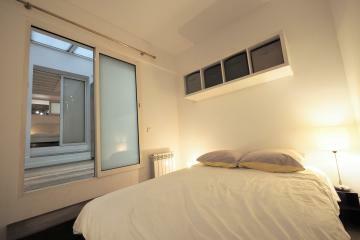 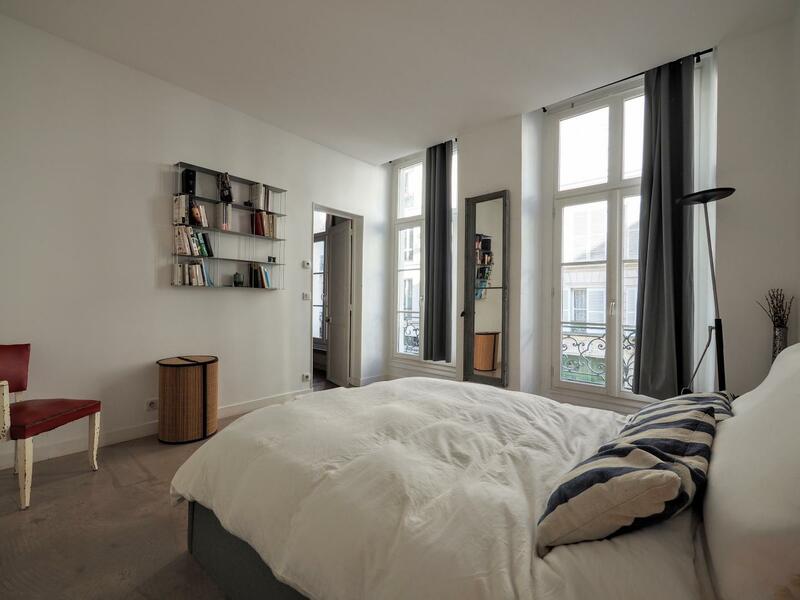 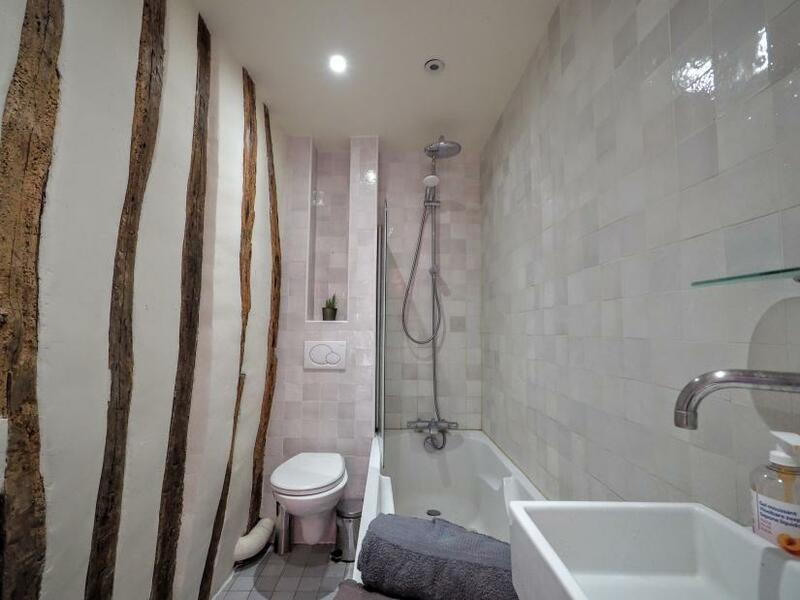 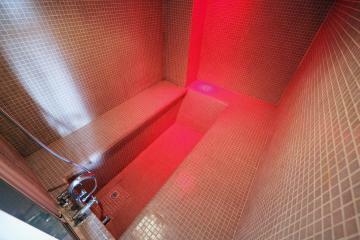 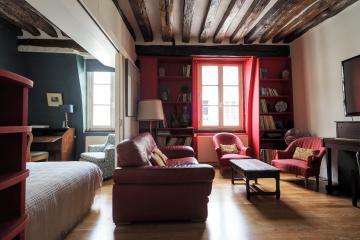 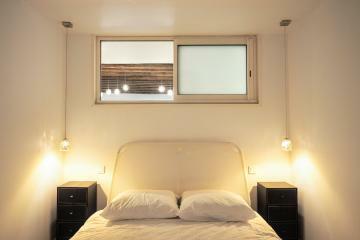 A perfect place for your next long stay rental in Paris. 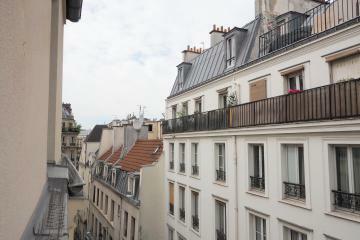 1 st floor, without Lift, 2 bedrooms Appartement, furnished, Approx: 53m² / 570 Sq.Ft.